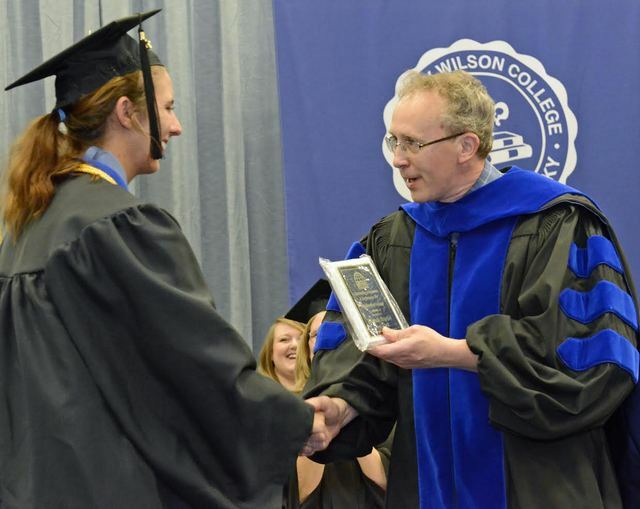 COLUMBIA, Ky. -- The Lindsey Wilson College community honored the academic accomplishments of the 2014-15 school year Tuesday afternoon at the college's annual Honors Convocation. Held in Biggers Sports Center, the event included more than four dozen departmental and college-wide awards. The top graduating senior was named, a new John B. Begley Scholar was awarded and the top professors of the year were recognized. Honor cords were also awarded to more than two dozen graduating seniors. 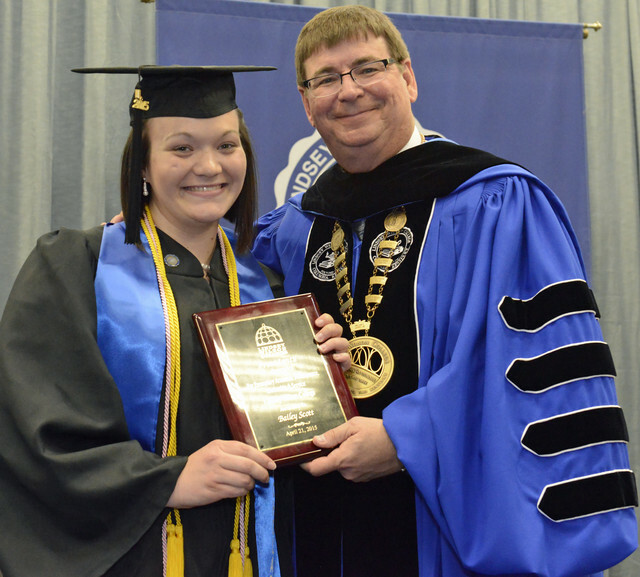 LWC human services and counseling senior Bailey Scott of Auburn, Ky., received the President's Award, which is presented to the graduating senior who in the opinion of the LWC president best embodies the LWC mission. Aleksi Pahkasalo -- a recreation, tourism and sports management sophomore from of Vantaa, Finland, and member of the LWC varsity men's soccer team -- was named the returning John B. Begley Scholar, which is the college's most prestigious undergraduate scholarship. The Lindsey Wilson Singers was named the top student organization by the LWC Student Government Association. 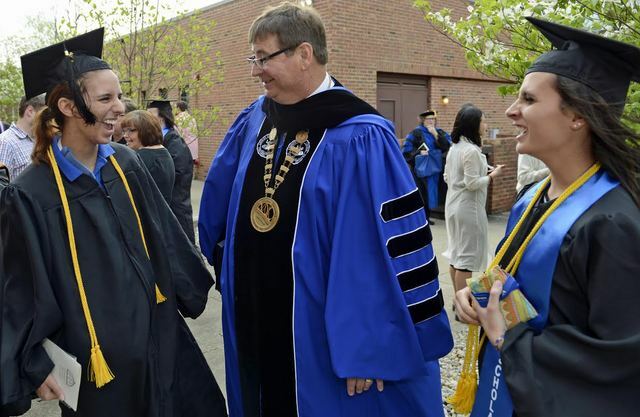 Two faculty members were honored. 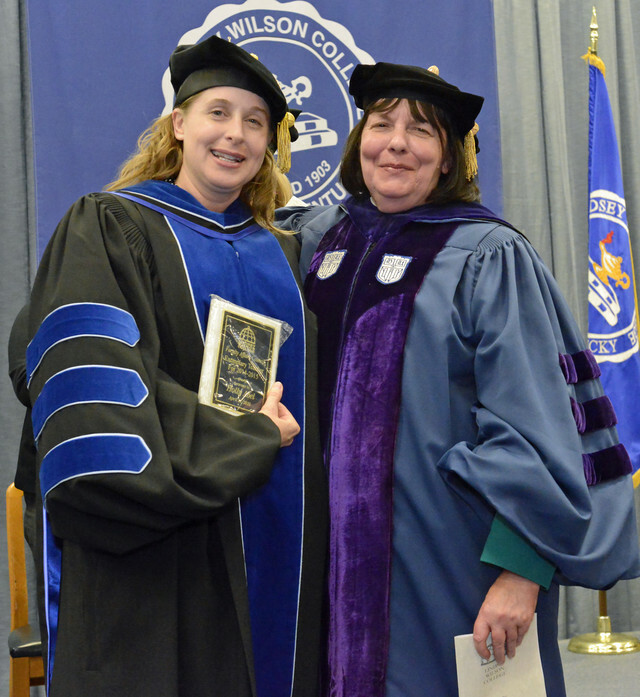 Associate Professor of Business Trudy Morlino was named Teacher of the Year by the LWC SGA, and Associate Professor of Counseling and Human Development Holly Abel received the Exemplary Teacher Award from The United Methodist Church Division of Higher Education. Several student groups and academic honor societies were also recognized. Particularly noteworthy was the report from Director of Civic Engagement Amy Thompson-Wells, who is also co-director of the Bonner Scholars program. She reported that collectively the Bonner Scholars seniors completed almost 31,700 hours of service, and 11 AmeriCorps terms at 29 partner sites. The value of their volunteer time was estimated to be $229,825. 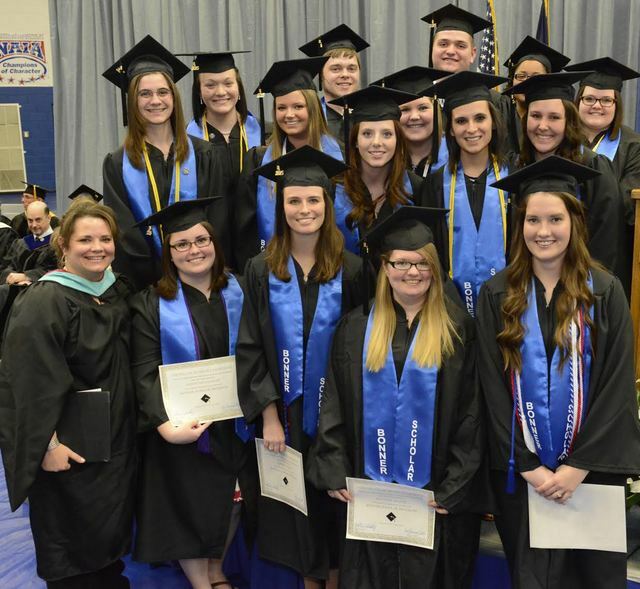 LWC's 101st commencement ceremony will be 10 a.m. CT Saturday, May 9, in Biggers Sports Center, 360 Spickard Drive. President's Award: Bailey Scott of Auburn, Ky.
Alma Jones Wade Scholarship: Jessica Burnett of Lewisport, Ky.
Federal Student Employee of the Year: Jonathan Lewis of Somerset, Ky. Male Scholar-Athlete of the Year: Branden Cresap of Shelbyville, Ky. Journalism Award: Zachery Oakes of Russell Springs, Ky.
Student Publication Award: Shelia-Marie Stacy of Paducah, Ky.
Human Resources: Katherine Dickerson of Louisville, Ky.
Recreation, Tourism & Sports Management: Issac Martinez of Somerset, Ky. Outstanding Academic Achievement Award in P-5 Education: Lois Jean Lanham of Lebanon, Ky. Outstanding Academic Achievement Award in 5-9 Education: Rachel Johnson of Russell Springs, Ky. Outstanding Academic Achievement Award in P-12 Music: Caitlyn Harrod of Springfield, Ky.
Christian Ministries Award: Amber Clark of Kennesaw, Ga.
English Student of the Year Award: Chelsea Dermody of Fairdale, Ky., and Glen Jennings of Prospect, Ky. Outstanding Thespian Award: Jeremy Cloyd of Tompkinsville, Ky., and Erika Finley of Hopkinsville, Ky. Psychology: Katherine Koper of Central City, Ky.
Psychophysiology: Hannah Hayduk of Kutztown, Pa. Academic Excellence in Nursing (Highest Overall GPA): Alison McGaughey of Mount Eden, Ky.
Dr. Elizabeth Lowe Whitfield Nursing Professional Development Award: Destiny Ryan of Manchester, Ky.
Marit B. Robb & Sheila K. Robb Nursing Award: Susana Salvador Meda of Marriottsville, Md. Outstanding RN to BSN Nursing Student: Cassandra Brown of Edmonton, Ky.
Human Services and Counseling Award: Bailey Scott of Auburn, Ky.
Communication Ambassador: Jonathan Joseph of Louisville, Ky. Outstanding Communication Student: Taylor Watson of Burkesville, Ky., and Haven Williams of Burkesville, Ky.
Noma Dix Winston History Scholarship Award: Ryan Leamy of Louisville, Ky. Excellence in Writing Center Peer Tutoring: Rebecca Wynn of Closplint, Ky.
2015-04-22 - Lindsey Wilson College, Columbia, KY - Photo by Duane Bonifer, Lindsey Wilson College. 2015-04-22 - Biggers Sports Center, 360 Spickard Drive, Columbia, KY - Photo by Duane Bonifer, Lindsey Wilson College. 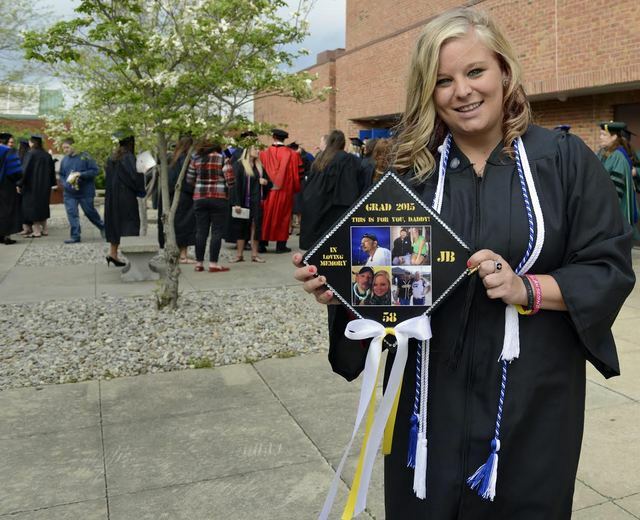 Lindsey Wilson College senior Ashlie Bishop of Elkton, KY, displays her mortarboard, which is dedicated to her late father, Jim. Jim Bishop died September 22, 2015, a little more than a month after being diagnosed with cancer. Bishop - who participated in LWC's Honors Convocation Tuesday afternoon at Biggers Sports Center - has a brother, James, who will graduate from Todd County (KY) Central High School this year. - DUANE BONIFER, Lindsey Wilson College. 2015-04-22 - Columbia, KY - Photo by Duane Bonifer. Lindsey Wilson College counseling and human services senior Bailey Scott of Auburn, Ky., receives the President's Award from LWC President William T. Luckey Jr. at the college's Honors Convocation Tuesday afternoon at Biggers Sports Center. The award is given by the president to the graduating LWC senior who in his estimation best epitomizes the LWC mission. 2015-04-22 - Columbia, KY - Photo by Duane Bonifer. 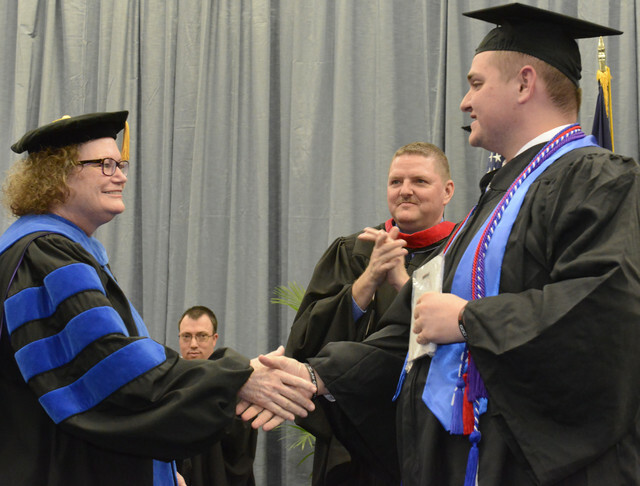 Lindsey Wilson College Student Government Association President Jonathan Joseph of Louisville, Ky., congratulates Associate Professor of Business Trudy Morlino, who received the SGA Teacher of the Year Award at the college's Honors Convocation Tuesday afternoon at Biggers Sports Center. 2015-04-22 - Columbia, KY - Photo by Duane Bonifer. Lindsey Wilson College Associate Professor of Counseling and Human Development Holly Abel, left, receives the Exemplary Teacher Award from The United Methodist Church Division of Higher Education from LWC Vice President of Academic Affairs Bettie Starr at the college's Honors Convocation Tuesday afternoon at Biggers Sports Center. 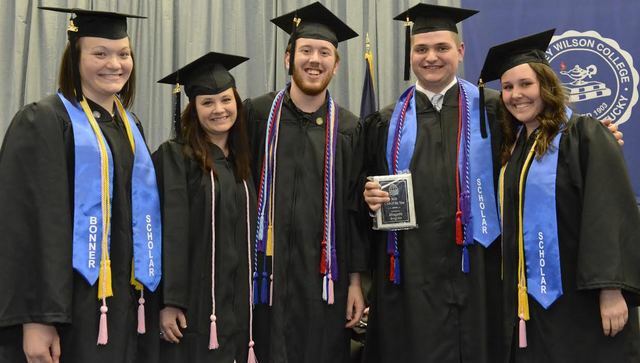 Senior members of the Lindsey Wilson College Bonner Scholars Program were recognized at the college's Honors Convocation Tuesday afternoon at Biggers Sports Center. Collectively, the Bonner Scholars seniors completed almost 31,700 hours of service, and 11 AmeriCorps terms at 29 partner sites. The value of their volunteer time was estimated to be $229,825. Pictured, alphabetically: Amber Clark of Kennesaw, GA; Heather Franks of Monticello, KY; Brooke Harmon of Columbia; Jonathan Joseph of Louisville, KY; Lauren Kinser of Elizabethtown, KY; Katie Koper of Central City, KY; Lois Lanham of Lebanon, KY; Alison McGaughey of Mount Eden, KY; Nicole Pierce of Eubank, KY; Wendy Price of Berea, KY; Will Rich of Columbia; Bailey Scott of Auburn, KY; Dariann Smith of Columbia; Lauren Thompson of Russell, KY; DeResha Walkup of Paducah, KY; and LWC Director of Civic Engagement Amy Thompson-Wells. - DUANE BONIFER, LWC.